Go then give me a push!! 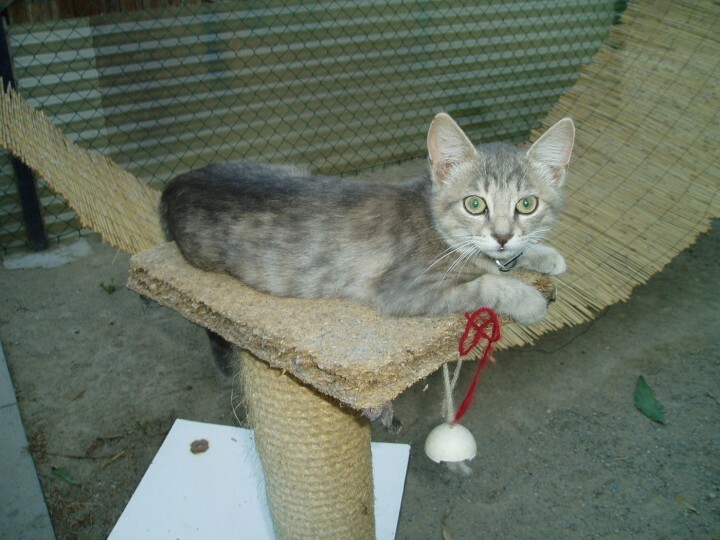 One of the sanc kittens on one of the scratching posts. He really wants to go on the swing! !